Carol met Alê and his love for orchids affected her. So they involved themselves in the project Thousand Outsider Orchids for the sake of native orchids, wishing to return to the rain forest at least a little part of what was taken from it to propose new forms of interaction between citizens and our city of São Paulo, whichreceives everyone with such opened arms and needs kindnesses. The project proposes a new form of interaction with the city through planting of a native orchid that existed in the riparian forests of pine and Tiete River before the grinding process. 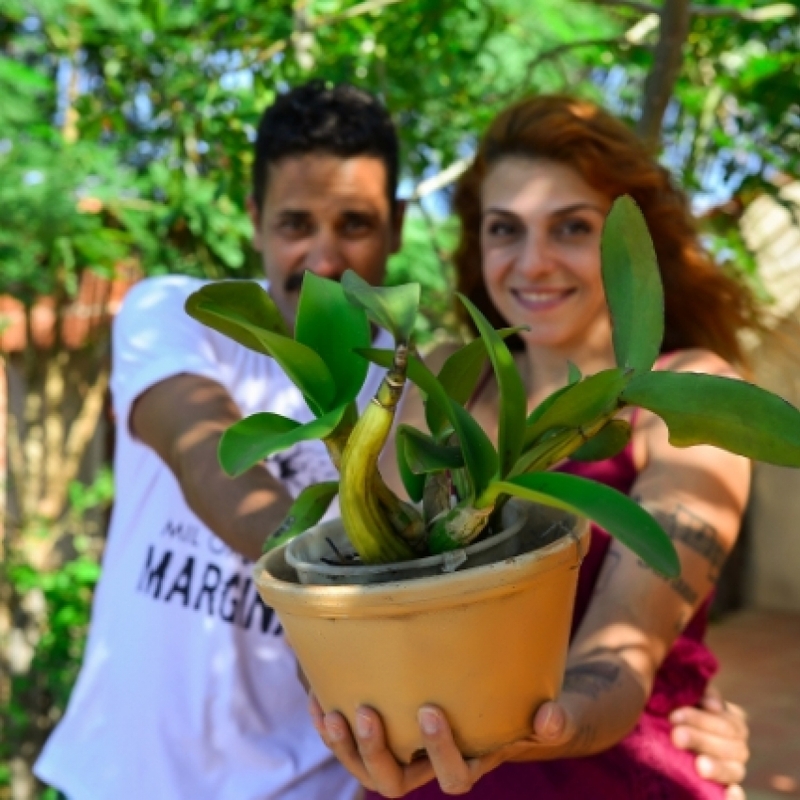 Thousand Outsider Orchids already returned back more than 800 orchid seedlings and led many citizens to interact with the Pinheiros River for the first time.